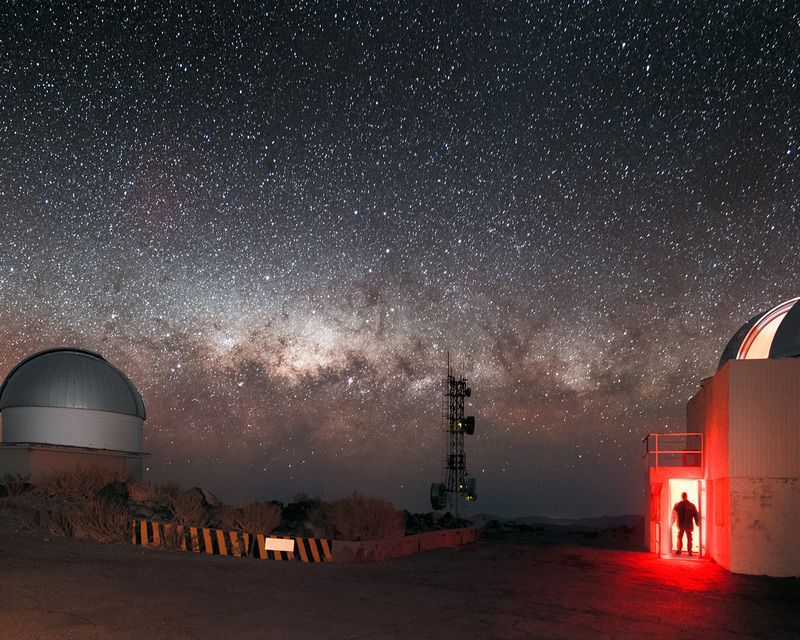 A ghostly figure is captured in the entrance to the decommissioned Danish 0.5-metre telescope which sits next to the decommissioned 0.61-metre Bochum telescope. 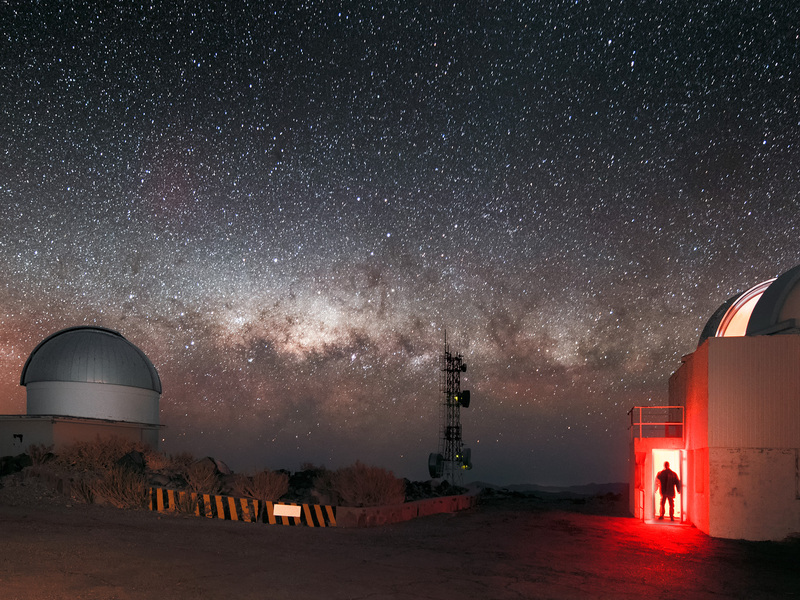 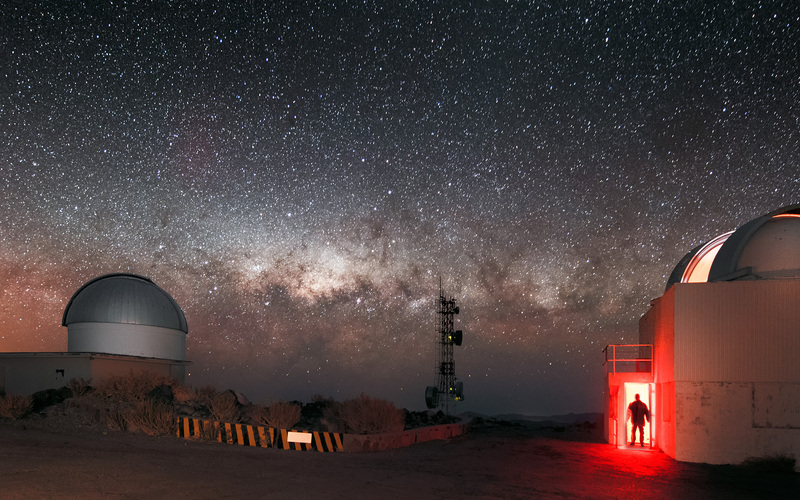 Both are located at ESO's La Silla Observatory in northern Chile. Towards the horizon, the recognisable glow of the Milky Way stretches across the view.